DEW-SCENTED @ Metal Hammer Paradise! We will be playing at this year’s Metal Hammer Paradise, which takes place November 11 & 12 of 2016 at the Ferienpark Weissenhäuser Strand / Ostsee (Germany). 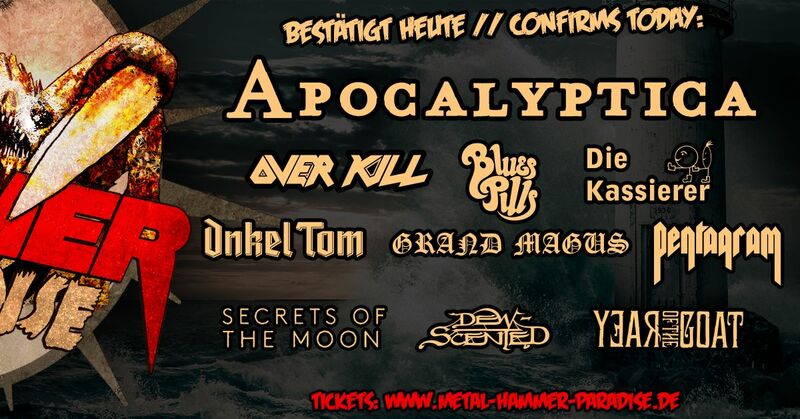 Other bands announced so far include Apocalyptica, Overkill, Blues Pills, Die Kassierer, Onkel Tom, Pentagram, Grand Magus, Secrets Of The Moon and many more to be revealed soon.